Months of building and preparing, even shipping computers from England to Bekoji all led up to the 1st of October when our Bethany School officially opened the eagerly anticipated Bekoji computer lab. The computer lab was opened after a busy week of finishing touches and installing computers by David Spurdle and a team from Financial Software Limited (FSL), the company funding the equipping and running of the computer lab. Some of the Stand by Me boys helped out and as always, Grace kept them all entertained. On the evening before the opening Grace asked if the first graders will get to use the computers and after getting a positive response she replied, “we are truly blessed”. The opening of the lab was a popular and exciting occasion and all of the students from the Bethany School came to watch along with many of their parents and siblings. Also attending were people from the local community and a few government officials who discussed the benefit of Stand by Me to the community in Bekoji. David Spurdle and David Pirrie (CEO of FSL) gave speeches. There was a buzz of excitement as they discussed the computer lab and all the advantages it will bring to the education of our children and their prospects for the future. We couldn’t have done this without the generosity and support of FSL and were glad that Stand by Me, the Bethany School and the local community were able to say a big ‘thank you’ to them at the opening. 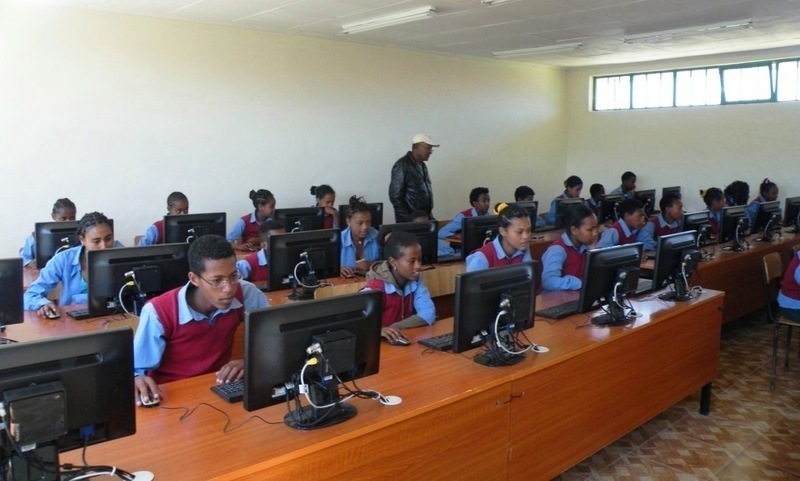 With an excellent education, English language skills and now, computer skills, our children will be able to go far, achieve their dreams and change their communities. If you would like to stand by these soon-to-be technology experts in Ethiopia and encourage and journey with them on their bright future then find out more about sponsoring a Stand by Me child.